We sat down with Paul and discussed the influence on his works and more. this for five years after which I then decided it was time to head back to art college. the Middle East became a part of my life. 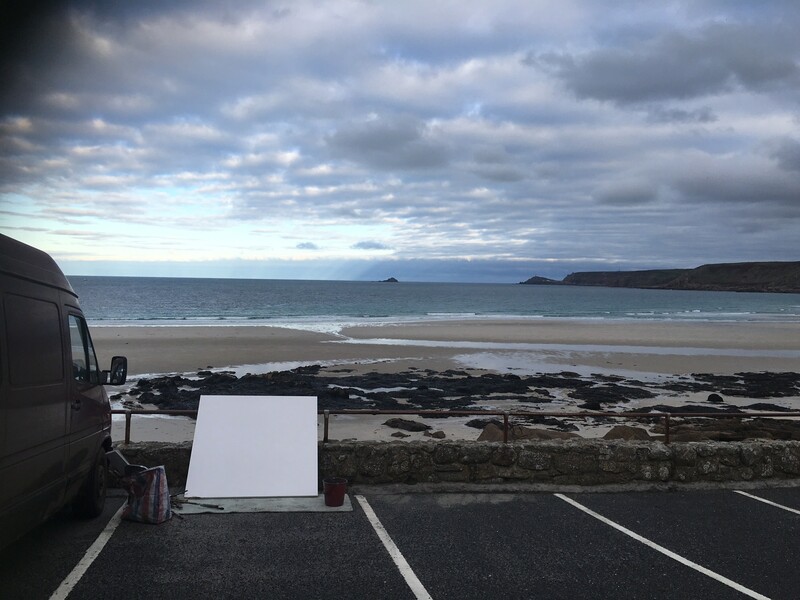 location; a winter's day on Sennen beach with the waves pounding in certainly gets the creative juices flowing. Winter or autumn is a good time to paint for the drama in Cornwall. 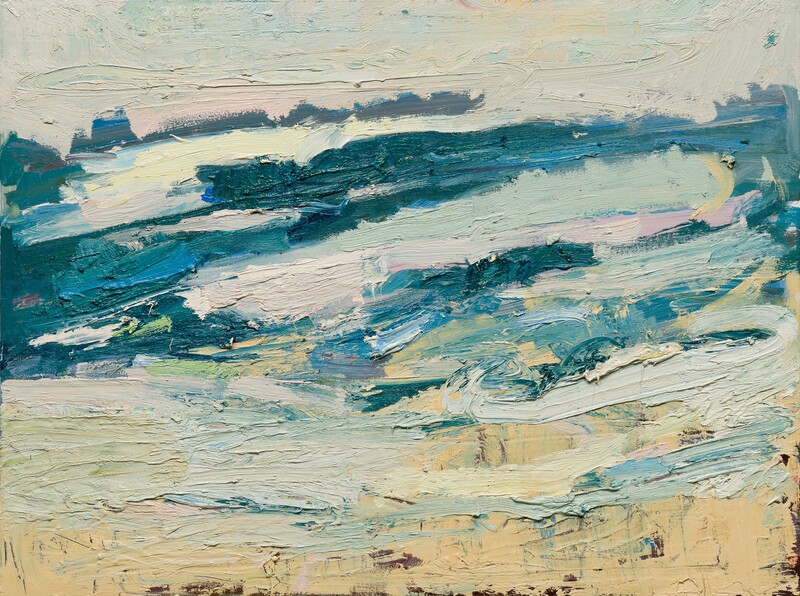 I find the sea provides all the creative energy I need to work on location – it requires a lot of physical expression. any more painting needs to be done. way the paint is applied – this is where all the feelings of the artist are contained. When you look at the works you have to look close as well as far. What other artists interest you? How do your works come together? 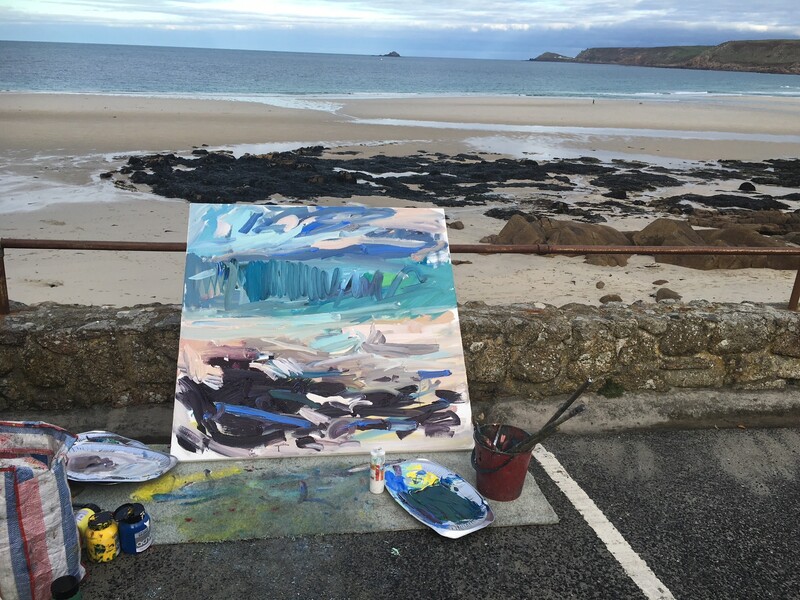 Sennen Cove using acrylic paint then later in the studio I added the oil paint. For more information on Paul and his works contact our London gallery via info@cricketfineart.co.uk or 020 7352 2733. 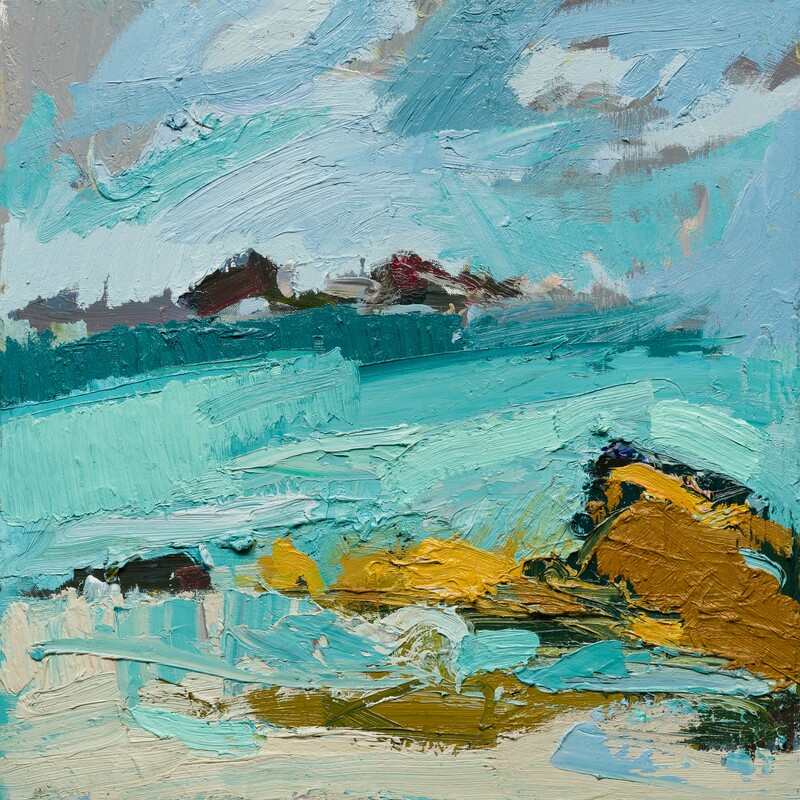 You can view the official exhibition catalogue here.